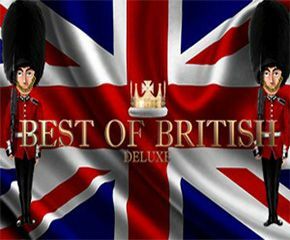 Best of British Deluxe slots is a game designed by Nektan to celebrate the British spirit. In my humble opinion, the British legacy is something that is very much worth celebrating. It has bequeathed on humanity series of things like the English language, the Parliament, the Common Law, Isaac Newton, William Shakespeare and so much more. Surely, this step from Nektan is one in the right direction. Nektan is a slot developer based in Gibraltar with additional offices in London and Las Vegas. This developer is relatively new to the scene of slot game development being that it was established in 2007. Nektan noticed the trend in the growing importance of mobile devices and as a result, is focused on the development of mobile slot games. In 2013, it acquired Mfuse limited, an established mobile developer, and inherited its mobile development framework. As a testament to Nektan’s profitability, it became listed as a public company in November 2014 and has since then developed a host of games. Of the 22 slot games developed by Nektan, Best of British Deluxe slots happens to be one of its top sellers. Best of British Deluxe slots is a game with 5 reels and 15 possible paylines. The reels are beset on both sides by two unsmiling British Royal guards. In the background is a colourful picture of the British flag, helping to lend credence to the British aura. There is a betting range of 0.01 to 1.0 credits. The minimum bet amount is £0.01 while the maximum is £15. This slot game is quite profitable considering the fact that there is an RTP rate of 96%. With this, the odds are quite in your favour. The symbols are representative of British culture and are all stacked. The symbols include a red London bus, a teapot, a police helmet and a dish of fish and chips. The wild is the bulldog which can be used to replace any of the other symbols except for the scatter. The scatter is the underground tunnel symbol with the word ‘spin’ written boldly in red across it and it can be used to activate the free spin feature. In Best of British Deluxe slots, landing the scatter three times on the reels would activate the free spin feature. When this is activated, players are given a generous thirty free spins. The drawback to this is that there are no multipliers during the free spins. Fortunately, the free spin can be retriggered; giving players ample room to get more cash despite the fact that there are no multipliers. 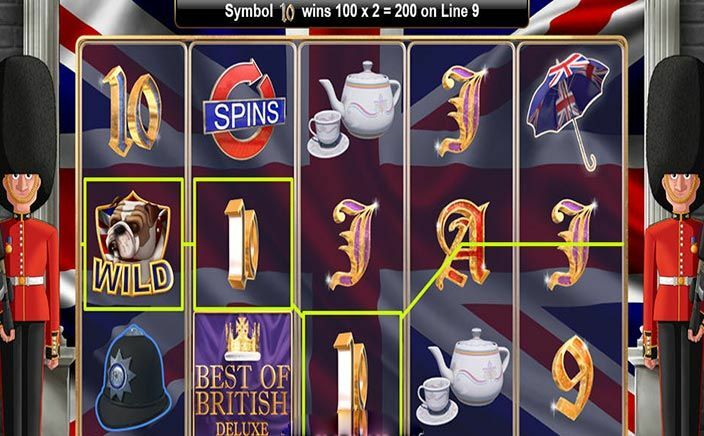 Best of British Deluxe slots does a good job of actively immortalising the British culture. Anyone who is proud of being British would be guaranteed a good time while playing this game. On the other hand, the dearth of bonus features is quite disheartening. The addition of extra bonus feature would have added some extra excitement.